Being a blogger is not easy at all, whether it's a hobby or a job. Every blogger works so hard to put out quality work. But sometimes it can be a struggle. While in a blogging rut I came across a lot of posts that have helped me gain confidence. These posts also helped me realize my creativity; all I needed to do was use my noggin! But before you click on the links below, I'm going to explain what these links mean to me. I don't want to bore you but I'm hoping these will help you too. Everytime I get into a blogging rut I always look at my blog design. Thinking that the design I have is always the problem, I go and I spend money to change it. In reality the major problem was myself. Now don't get me wrong, designs I've had were beautiful it just wasn't for me. During my long "break" or breakdown I did a lot of searching. I'm pretty sure you all heard of Etsy, am I right? This is where I found two shops that have helped me tremendously. Not to discredit the other wonderful design shops out there. Kate is the shop owner of Mistery Designs, she is so kind and patient. Even now if I have a question for her she helps me out. She designed my blog design! Now if you have read my blog before you're probably rolling your eyes. I understand because I say the same thing over and over again. But this time it's different I truly love this design and it really fits me, so make sure you checkout Kate's in the link down below. Next is Hayle and her shop is Designs by Hayle. Before I continue these are my opinions and no is giving me anything to say this. Hayle is a brand designer, she designed my favicon. If you don't know what I'm talking about, a favicon is the little symbol or picture next to the website name. Hayle is also nice and she makes sure you are satisfied with your design. So make sure you take a look at these two design shops! As I'm reading this post I feel like I am giving my acceptance speech after an award! The posts listed below have helped me realize that I should be doing a lot more for my blog. I won't go into details but I have put the links into the topics that each of them cover. These posts are very helpful and its like a guide for you. 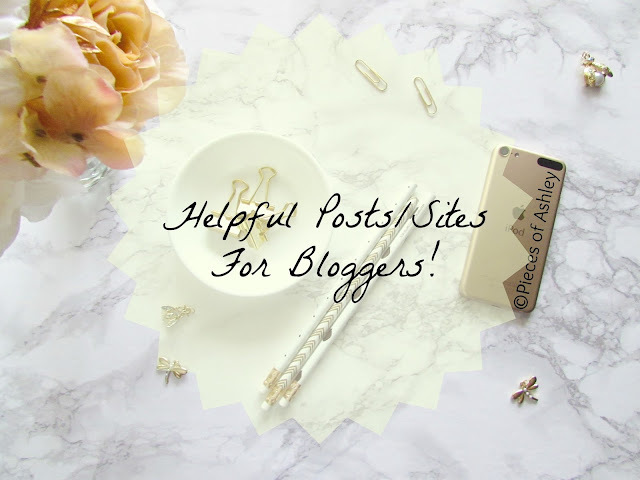 I'm grateful that bloggers take the time out to write helpful posts like this. So I hope you enjoy these posts as much as I did. Don't forget to show these girls some love! I love reading posts like this, they're so helpful!